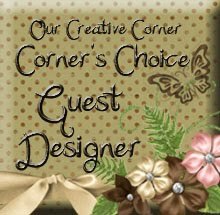 A beautiful bedroom setting is the inspiration piece for Beate’s challenge today. 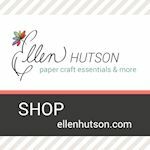 This is a Stampin’ Up! only card. 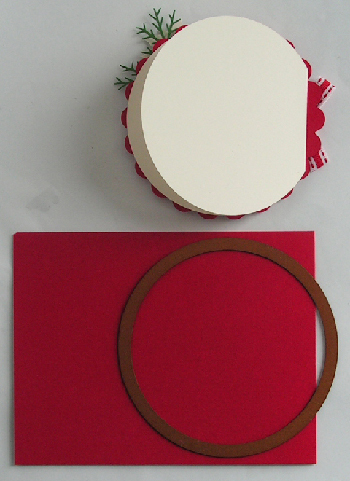 I cut out the large flower from their Designer Series Paper “Urban Garden”. 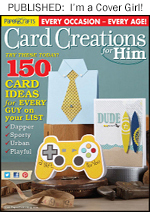 The build-a-brad is made with Not Quite Navy card stock. 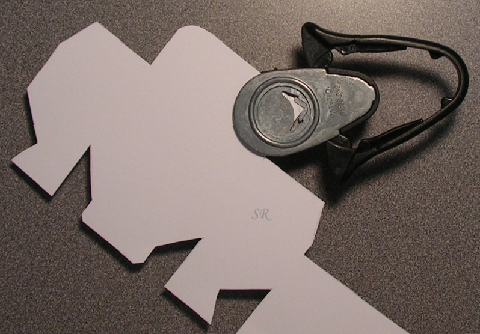 The embossed card base was done with the scoring blade on my paper cutter. Congrats, Melissa!! Guess the random generator got the hint! lol I’ll be emailing you to get your address so I can zip this off in the mail to you asap! With Veteran’s Day just around the corner, wouldn’t it be fun to win a stamp set dedicated to our heros? Well here is your chance! 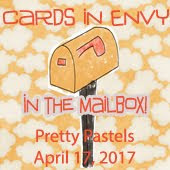 The set is called “Hero Mail” and was just recently released by A Muse. The moment I saw it I fell in love! lol And with part of each sale going to Operation Troop Aid I decided to get two sets… one for me and one for you if you are the winner! To enter just leave a comment here on this post. Then Sunday evening I will use randon.org to pick a winner. I would love to get this set in the mail on Monday morning to get it to the winner asap! 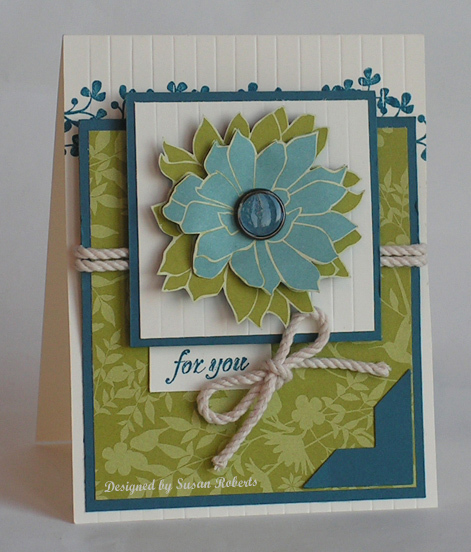 Oh and I almost forgot to mention that the card I made is for the Sketch Challenge today over on Splitcoaststampers. You can check out the SC199 gallery on SCS here. This post is now closed for comments. Congrats to Melissa, comment #22! She is the winner! 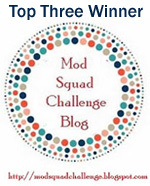 On Splitcoaststampers the Dirty Dozen/Dirty Dozen Alumni have a challenge each month. October’s challenge was to create a Halloween card or treat holder using googlie eyes but no pumpkins. So I decided to make this treat holder. Both the fence and the goblins behind it are Stampin’ Up Jumbo Wheels. The fence was stamped first with VersaMark and then Clear Embossed. The spooky goblins were then stamped with Versafine Onyx Black. Here is the inside of the treat holder. 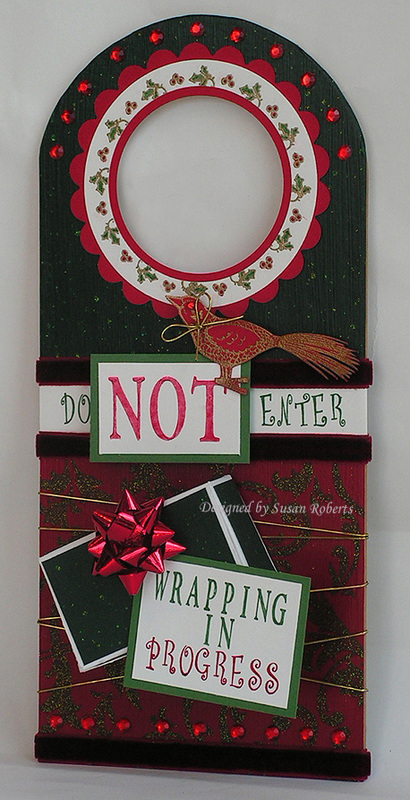 Beate Johns has done a tutorial for this holder over on Splitcoaststampers. Have a spooky day!! And if you want to check out what the other Dirty Dozen and Alumni have done with this challenge, you can check out the entire gallery here. 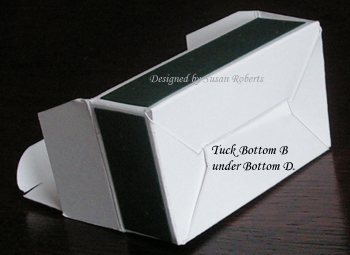 Box Template and Tutorial AND Coming Soon... Blog Candy! 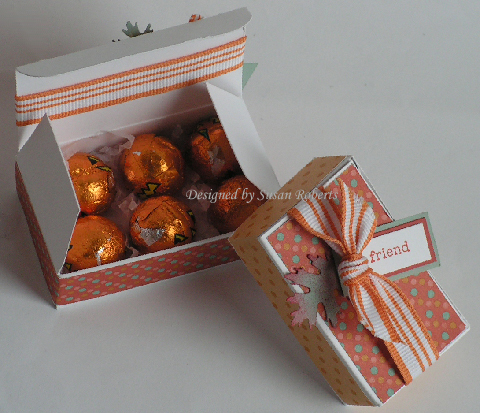 I just love making these little miniature boxes. Aren’t they cute! I tried to make it such that the template actually printed to the size/measurements shown on the template. However, I could not get it to be exact. Sorry I’m so computer challenged. However because of the angles and shape of the template it is relatively easy to tell where the folds and cuts go without doing any measuring. 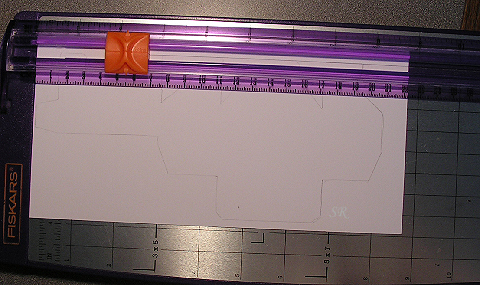 So the easiest thing to do is simply print the template, cut it out and then just trace around the outside of it. As long as the proportions are kept the same, the template will work fine to make a smaller or larger size box. When I printed it out the longest measurement (which shows as 9″ on the template) was just over 8″ in actuality. So it printed a little smaller. The picture of the boxes at the top of this post shows this smaller box in front (“friend”) and the actual measured to scale box is shown in back (“thanks”). 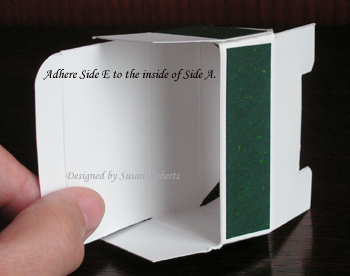 If you do want to make a box the exact size as the template and you want to measure it, I have all the measurements on the template in a 1/16″ scale, ie 4/16″ instead of 1/4″. This was just to keep it consistent. Here are some pictures of the box construction. 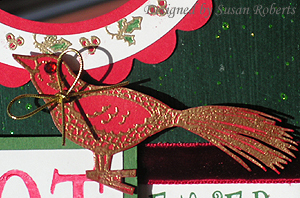 Just a note.. on the “Flap” I used a corner rounder punch to round the corners. 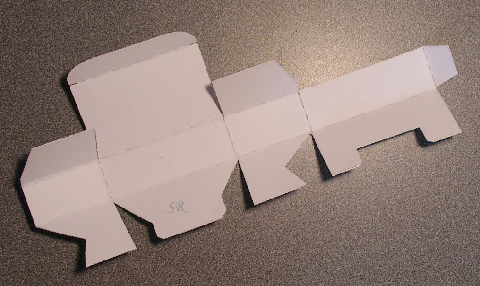 On “Bottom B” and “Bottom D” I used scissors to snip off a small triangular shape at the angled corners as shown in the pictures below. 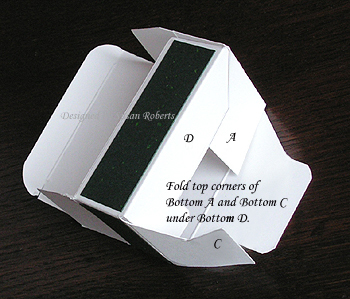 All folds are in the same direction. 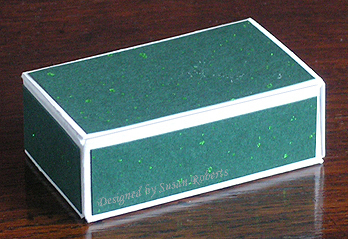 The Glittering Christmas paper on the green box is from Flourishes. 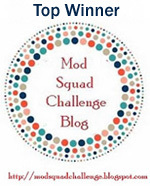 Finally… the BLOG CANDY! 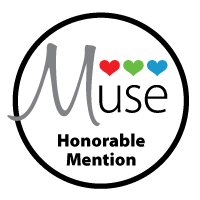 A Muse has just released the coolest set called “Hero Mail”. $2 from the sale of each set goes to Operation Troop Aid. 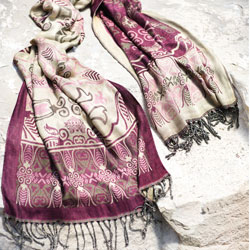 Well I just love the set, and so I bought 2… one for me and one for you if you are the winner! I’ll have it up on my blog sometime next week. It’s a perfect set for Veteran’s Day! Hope everyone has a great weekend. Oh and if you do make a box or two and post them somewhere, PLEASE leave me a link. I would LOVE to see them!! Such beautiful colors in Beate’s inspiration piece today. 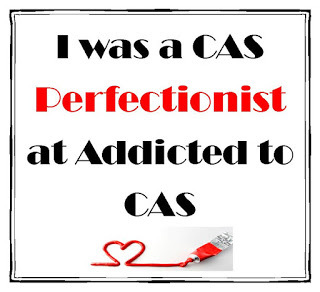 And I totally went with them. All images are from Flourishes. The ornament is from their newly released set All That Glitters. The sentiment is also from a newly released set Sleigh Ride. The background is Damask. 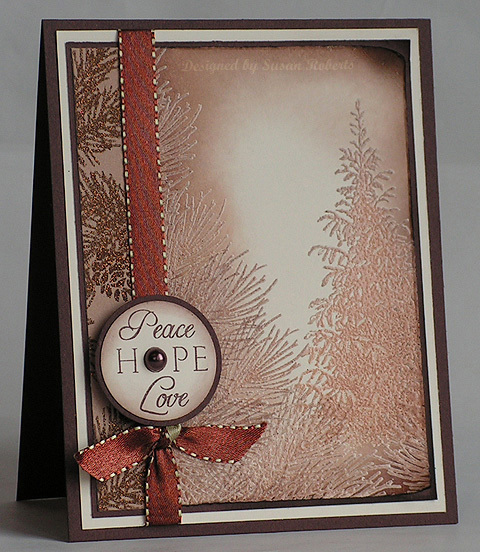 The sentiment and background were stamped with craft inks. 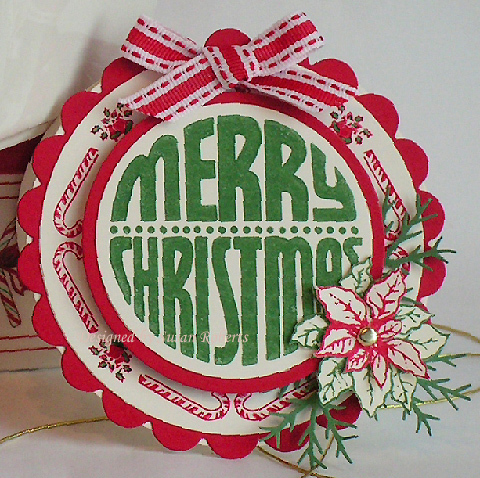 The ornament was stamped with Bravo Burgundy classic ink and VersaMark on watercolor paper and then clear embossed. It was then watercolored with Regal Rose and Bravo Burgundy reinkers. 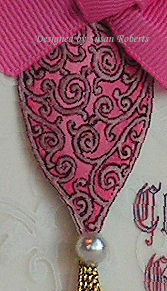 A Bravo Burgundy marker was used to outline the flourishes on the ornament. 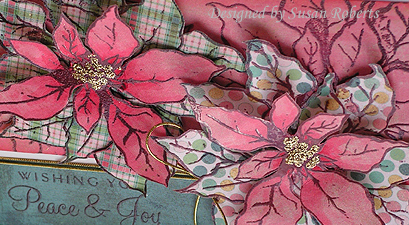 The ribbon treatment was inspired by this card by Jan Marie Curuso. 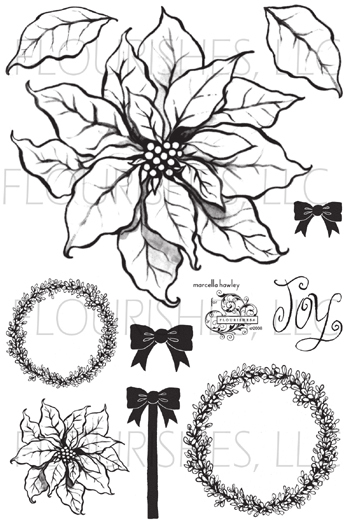 Flourishes Release - "All That Glitters"
My project today features the Flourishes “All That Glitters” set. The stamp I chose to play with is the beautiful bird ornament image. 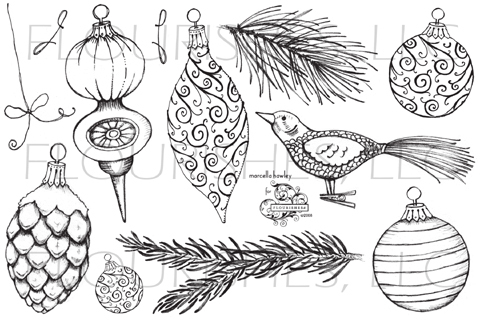 Because of the delicate detailing on the different ornament images in this set, I think they are very flexible as to how you can use them. 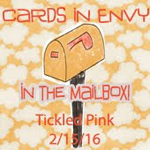 Here I have simply stamped and heat embossed in gold on red card stock. But these images could completely lend themselves to coloring from just a little to as elaborate as one desired. At Christmastime gift wrapping at our house generally takes place in the room where all of the ribbons, bows, tags and wrapping papers are stored. 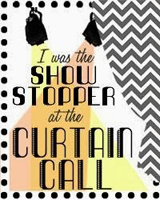 I thought that it would be fun to have a warning for the door for those times when everyone really must stay out! 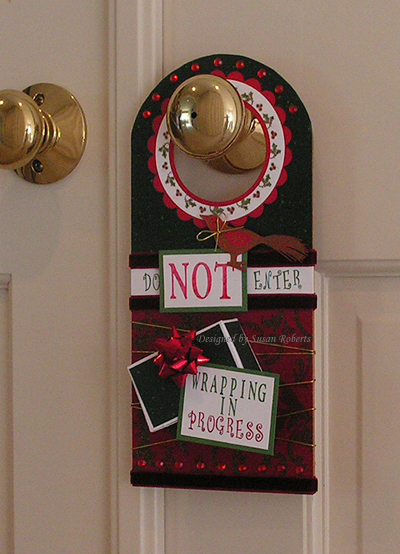 To start I used Mod Podge on a chipboard door hanger. I adhered this GORGEOUS Glittering Christmas paper to the hanger and then Mod Podged again right over the top of it. The result was wonderful because the glitter still showed, but it was now permanently sealed to the paper instead of getting all over everything everywhere! 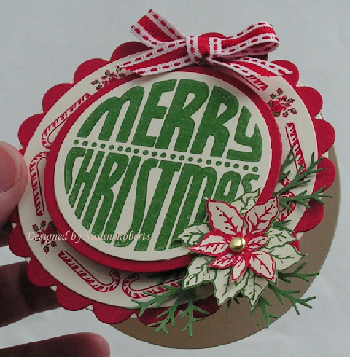 I used my Circle and Scalloped Circle Die Cut Nestabilities to cut and make the holly and scalloped rings around the hole for the door handle. The holly ring image is from the new JustRite “Christmas Stamp Ensemble”. The lettering is from two different JustRite Fonts “Curlz” 50 pt. size and “Times Roman” 50 and 95 pt. size. May Arts velvet ribbon and lots of Kaiser rhinestones along with some gold cording and a miniature bow (store bought.. sh-h-h-h-h don’t tell anyone) finish out the project. 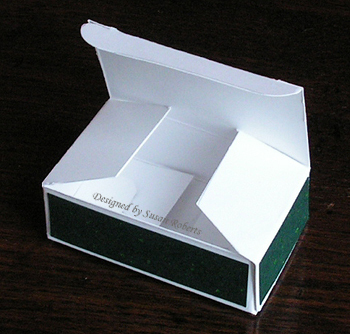 Oh yes and the box… I made the box with PTI white card stock and adhered strips of the Glittering Christmas paper to the top and sides. I love this little functional box. It measures approximately 1-1/2″ X 2-1/2″ and is the same-ish size as the metal tag/frame on my yesterday’s “Sleigh Ride” card. I am putting together a template and tutorial for it and hope to have it ready to share in a few days. Last month Flourishes offered a discount on the new releases – this month they’re offering you an even better deal! From now through Monday, October 13, get 10% OFF YOUR ENTIRE ORDER!!! 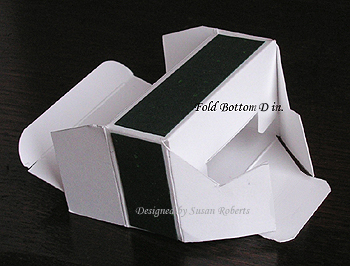 So, now is the time to load up on that great Basic Grey paper and matching brads, or perhaps some luscious ribbon. To get the discount you must put this code in the promotion code box at checkout: RSC88 Now, because you have to put that code in the promotion code box, you will not be able to enter the code for which design team member inspires you. 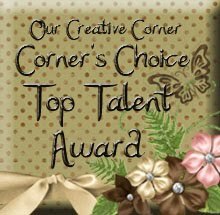 So…just send Flourishes an e-mail at flourishesllccustomerservice@cox.net and they will reward your favorite designer! 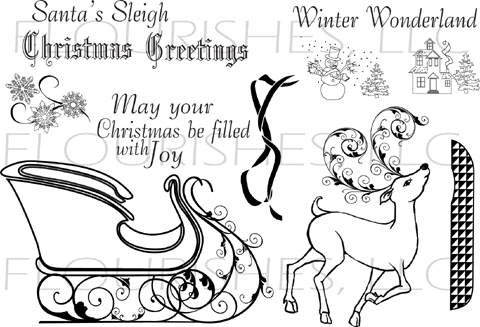 Flourishes Releases - "Poinsettia and Boxwood" "Holiday Greetings" and "Sleigh Ride"
Today I have two cards which feature three of the Flourishes newly released Christmas sets. 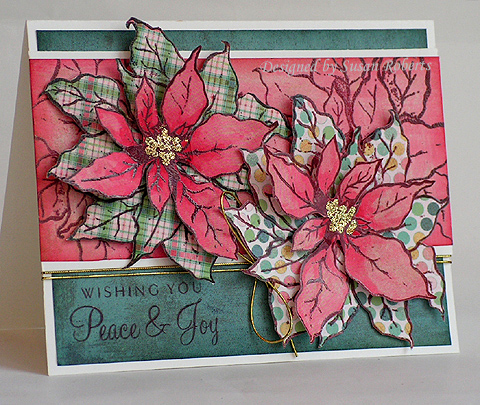 The first card is made with the large poinsettia image in the “Poinsettia and Boxwood” set. 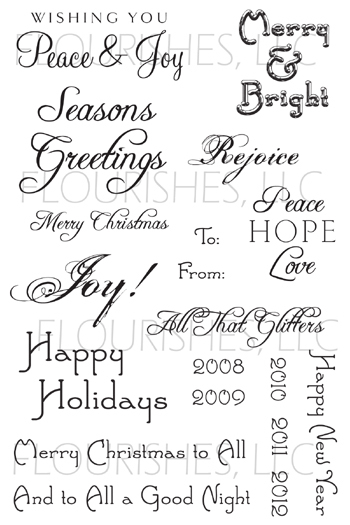 It also uses one of the sentiments in the “Holiday Greetings” set. 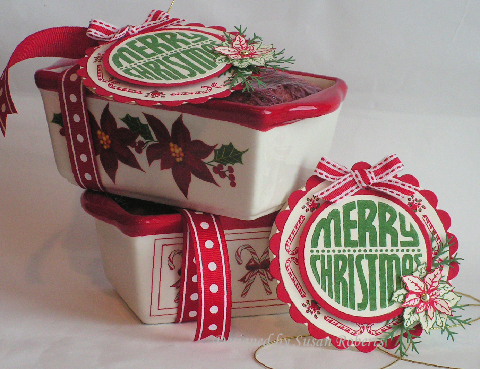 The images were all stamped using Ruby Red classic ink and VersaMark. (I have two VersaMark pads. One is kept clean. The other is almost black as I often use it to put VersaMark on a stamp that already has ink on it. Such was the case here. Because of the “dirty” VersaMark ink, it changed the color of the Ruby Red ink to more of a brownish color.) The flowers and sentiment were stamped on Basic Grey’s “Two Scoops” designer paper and then heat embossed with clear embossing powder. 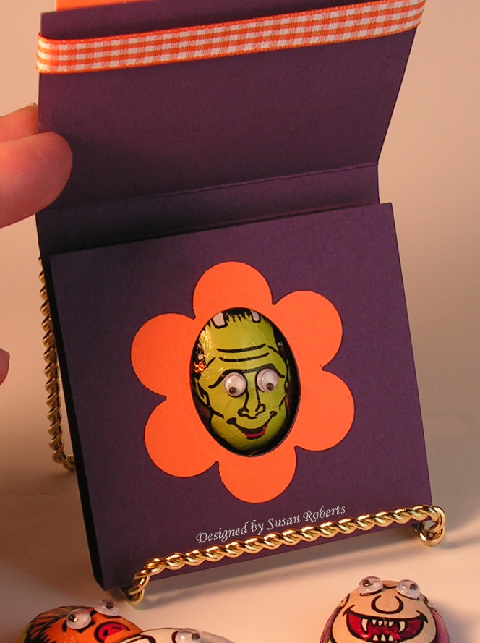 Two of the four cutout flowers were stamped on the darker of the two pink papers in the series. (This was also how the background panel was made.) One flower was stamped on the plaid and one on the dotted design. 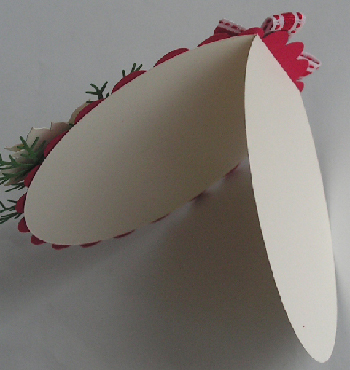 The patterned flowers were cut out in whole. The pink flowers were cut out around selected petals. I watercolored the centers of the smaller pink flowers with Ruby Red reinker. Once it was dry I added Stickles. 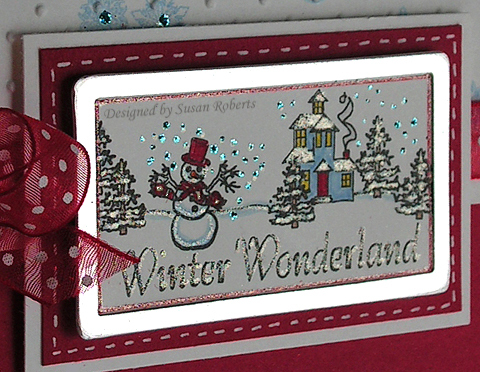 The second card uses the new “Sleigh Ride” set. So where’s the sleigh? Well I just couldn’t resist those cute little miniature images. I made a scene, sparkled it up with my Stardust Clear Glitter Pen and some Stickles and framed it with a metal tag. 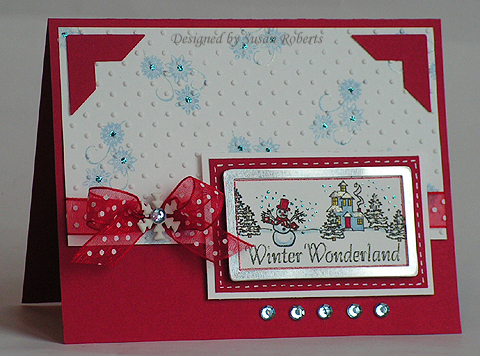 I finished the card with some dotted May Arts ribbon and Kaiser rhinestones.